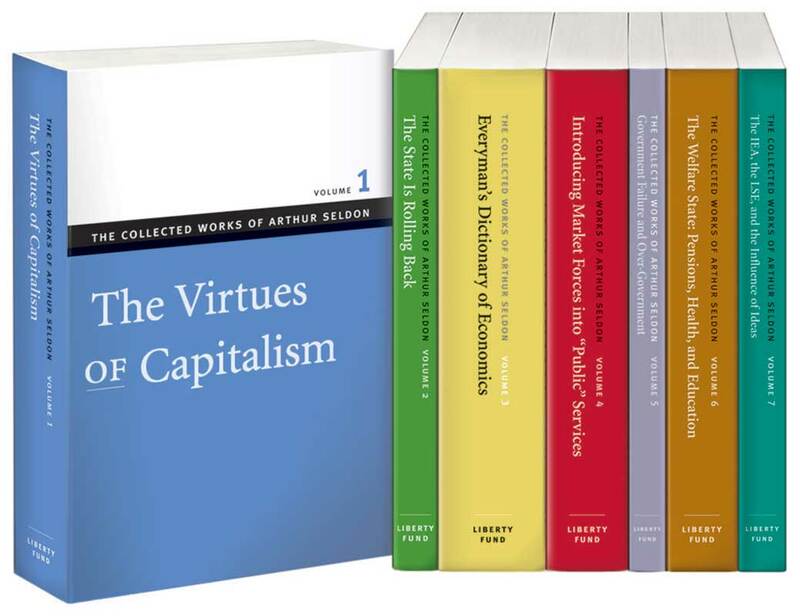 The Collected Works of Arthur Seldon spans 65 years of Seldon’s influential thought and includes all his pivotal works that helped to shape current economic thought. His arguments are as compelling and relevant today as they were over a half century ago. Each volume of this series has a contextual introduction and, except for Volume 3, an individual index. Volume 7 contains an index to the entire series. Everyman’s Dictionary of Economics, cowritten with Fred G. Pennance, Volume 3 of this series, is an essential tool for anyone who wants a better understanding of economics. Colin Robinson was a business economist for eleven years. He was then appointed to the Chair of Economics at the University of Surrey, Guildford, United Kingdom where he founded the Department of Economics and is now Emeritus Professor. For many years he has been associated with the Institute of Economic Affairs, and from 1992 to 2002 he was the IEA’s Editorial Director.